Where Should I Place Video Surveillance Cameras? 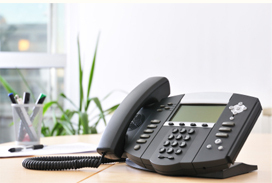 « Does Unified Communications Really Cut Costs? 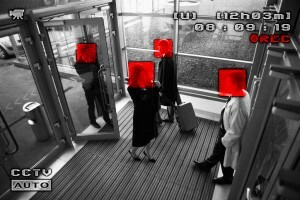 Surveillance cameras that are placed near entrances and exits have a better chance of identifying a thief or vandal. If you’ve made the decision to install video surveillance cameras on the premises of your business, then you are one step closer to locking down the security of your assets. However, even though you can access our cameras anywhere via your smartphone, laptop, or tablet, your cameras will not reach their full effectiveness if they are not placed properly. There are a number of problems that you can run into without careful consideration of camera placement. To make sure you get the most out of your new video surveillance cameras, be sure to follow these placement tips. Entrances and exits. Cameras with wide angle lenses can be especially useful for seeing the big picture and determining how burglars are entering and exiting your facility. Parking lots. Cameras in the parking lot with good resolution can be key to identifying the license plate of the getaway vehicle. Near valuables. If you have any particularly valuable items, such as a safe or artwork, placing cameras near those items can help to deter or identify a thief. Entrances and exits. Cameras placed either inside or outside entrances and exits are essential for identifying who is entering your facility and how. Common areas and stairways. Burglars will likely have to pass through these areas, which will give you a good chance at identifying them. This entry was posted on Monday, June 6th, 2016 at 10:56 pm	and is filed under Video Surveillance. You can follow any responses to this entry through the RSS 2.0 feed. Both comments and pings are currently closed.